You sigh as they give you their big, pathetic look of guilt. They know and you know that within minutes of your car pulling away from the driveway, Max will be sprawled on the couch. Soon he will be snoring, with his legs going a mile a minute as he dreams of chasing squirrels. Chester will have made himself cozy in the big chair by the fireplace. What can you do to preserve your beautiful furniture? 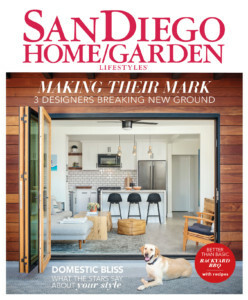 How can your home express your taste and style with stimulating colors and interesting texture options while, at the same time, including the four-legged members of your family? Stick to sturdy fabrics like Crypton, distressed leather, vinyl, synthetic microfiber and denim for indoors and solution-dyed acrylic fabrics like Sunbrella for outdoors. With Crypton fabric, you won’t have to worry about heavy staining from pets lounging about on your furniture anymore. Crypton is a patented fabric-treatment technology that provides stain, moisture, mildew, bacteria and odor-resistant protection. It’s almost indestructible and commonly used in the upholstery industry for places that experience a lot of traffic, like hotels and cruise ships. (I have a 10-year-old purse made out of Crypton fabric that looks like I purchased it last week.) Leather and vinyl are also great choices because fur doesn’t stick to them. On the other hand, synthetic microfiber offers an easy-to-clean suede-look without the hefty price tag of leather and it wears well. We all know how tough denim is and, although we may not want the material used for jeans in our fancy living spaces, it does well in more casual areas. Add slipcovers. There are many styles of cotton or microsuede fabrics that are used to make designer-like, pet-friendly slipcovers. They are washable (and bleachable if white) and they offer a pleasing look. Most come in colors that can complement the decor in your living spaces. Non-skid backings prevent them from slipping. Some are even reversible so you get two designs for the price of one. Buy pet furniture. 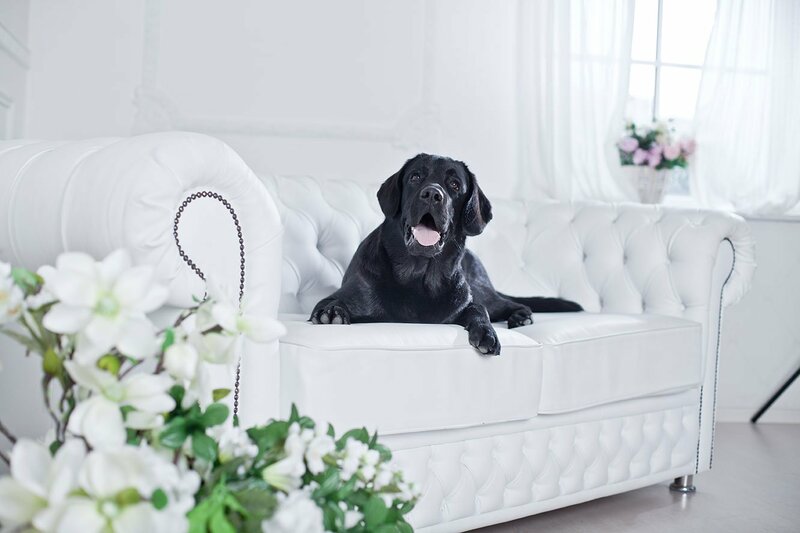 With pet-specific furnishings, there is always the hope (fingers crossed) that the pieces will be comfy enough that your dog or cat will stay off your sofa. Joss & Main (jossandmain.com) offers more than 50 different dog beds, chairs and sofas. Some of my favorites include the Consuelo dog bed, Cornelia dog sofa and the Quicksilver pet bed. If you are looking for the “purr-fect” bed for your kitty, I recommend Elevele cat furniture on Etsy. Your kitty will love the softness of the felted bed and you’ll love the muted colors that fit into any stylish living area. IKEA also has stylish pet furniture (i.e, LURVIG, ikea.com). Try dual-purpose furniture. Some furniture designs accommodate your pets and you. 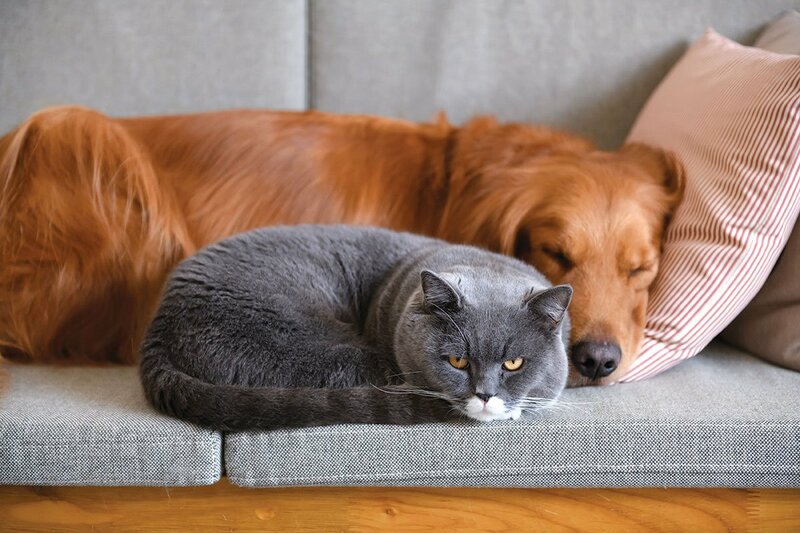 Specialty sofas, chairs, and bedside and coffee tables offer comfy places where your buddy can snuggle next to you or even under you (a double-decker rocking chair, for example) but not on the same cushions or surfaces that are meant for humans. Check out the pieces on Bored Panda for fun, functional designs that look fabulous. While you are painting and until the paint is dry, keep your pets away from the area that’s getting a color makeover. Find a paint that is odorless, water-based and dries fast. Milk paints are safe for all family members. Keep the room well ventilated.